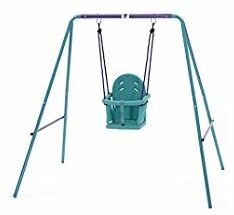 Thanks once again for taking the time to visit and welcome to this Plum Metal Swing set review which will focus on 5 different models under this brand (Premium & Standard) so at least you have more than one choice when it comes to making your final decision. This review will outline all the main features that they have to offer plus all the main pros and cons that you need to be aware of before you buy. We will also outline some frequently asked questions that will be of interest to you plus some additional images to give you a better understanding on the features which are available. Q. 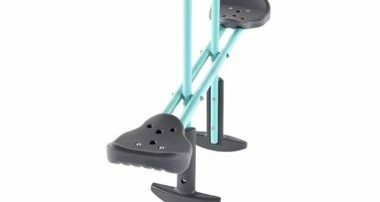 Are the Anchors included with the Plum premium metal swings? A. It depends on where you buy but tends to be 12 months from reputable suppliers. Q. What age group are the Premium models suitable for? A. 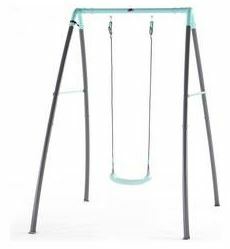 They are suitable for children aged between 3 and 10 years old with a max weight capacity of 50kg per swing seat. Q. Do the anchors need to be cemented in? A. This depends on how soft the grass soil surface is. If it is solid the pegs can be pushed down with a mallet but if the surface is too weak / soft, then please dig 4 holes and apply the pegs to the cement and let sit overnight undisturbed. Q. 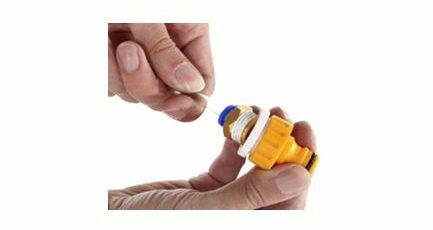 Do they include the Mist water hose features? Q. Can the swing heights be changed up or down? Q. 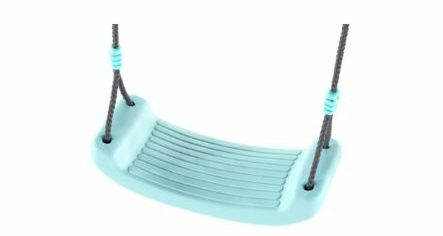 Can these swings be placed on decking, paving or concrete surfaces? Made from galvanised steel and is powder coated on both the outside and inside surfaces to protect against rust. Addition of the Mist feature is perfect for the hot sunny days to keep the kids cool. 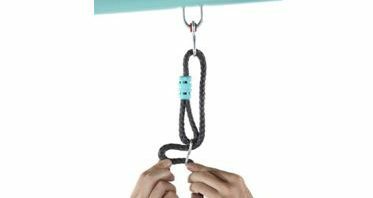 You get the anchor set included to ensure stability with the ground surfaces. Much thicker frame than some of the cheaper flimsy metal swings on the market and is powder coated inside and outside for added rust prevention. 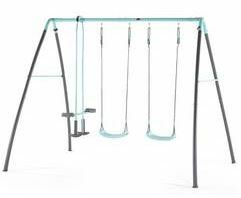 Lacks additional play time features such as the Glider – plus has no trapeze bar or swing or no slide – kids will get bored a lot quicker! 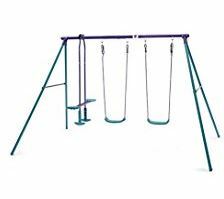 Have you or your kids any personal experience with Plum Metal Swings or Swing Sets in the past? If so, then please share your thoughts and feedback with the wider UK community by leaving a comment in the comment section below – So that they can learn also!!! 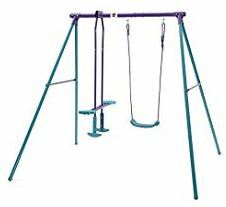 Posted in Swing Set Reviews and tagged Plum 2 in 1 Swing, Plum Double Metal Swing Set, Plum Helios Metal Swing Set, Plum Jupiter Metal Swing Set, Plum Metal Swing, Plum Metal Swing Set, Plum Metal Swing Set review, Plum Metal Swing Sets, Plum Single Metal Swing Set, Plum Swing Set metal, Plum Triple Metal Swing Set.